I read Liars Inc. months ago, but I’m only writing my review in February so you’ll have to excuse me if I seem like I’m being a bit vague. Luckily, my past-self was clever enough to note down some bullet points after finishing the book, so all is not lost. 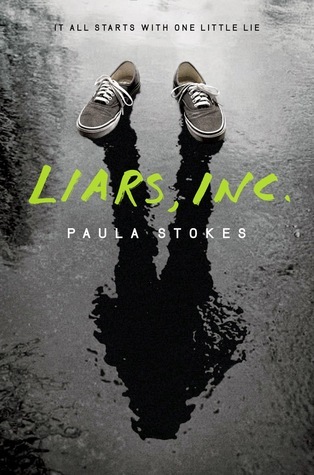 Liars Inc. is my second read from Ms. Paula Stokes, and I have to say I think Stokes does thrillers a lot better than she does fluffy contemporary. Liars Inc. is a truly thrilling read and I was absolutely captivated from the start. The main character, Max, was a bit dim, I’m not gonna lie. He frustrated me at times because he did many things that made me roll my eyes. You know how in horror movies you’re screaming at the teenagers “DO NONE OF YOU WATCH HORROR MOVIES”? That’s how I felt towards Max. He really could have done with some CSI or Criminal Minds type research. Other than those moments, though, I did really like him and I felt a bit sorry for him after everything he was put through. A character that I really did love, however, was Parvarti. Parvarti was a complicated character; I started off feeling meh towards her and then I loved her by the end. She reminds me a little bit of Raven Reyes? When I think of Parvarti now, I also think of Raven. A bit. I don’t know why. Probably because they are both AWESOME. I really enjoyed the complex plot of Liars Inc., with the whole mystery of where Preston had disappeared to, and if anyone would have killed him. Everything came together really well in the end, which was fantastic because Stokes planted some really good clues throughout. However, there were a few things that didn’t really work for me, which I can’t spoil you about. Just keep in mind that a couple of aspects are unrealistic. But, hey, it’s fiction! I managed to figure out the twist and who the bad guys were, but that’s only because I was suspicious of absolutely everyone. It’s the best way to be, in my opinion! 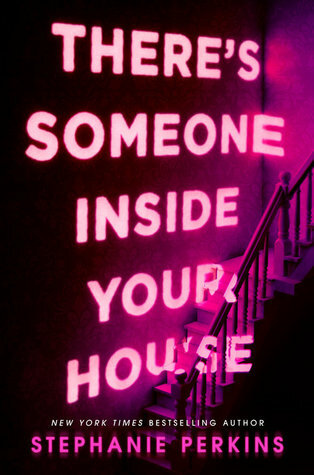 You should definitely pick this book up when you’re in the mood for an intense thriller, because you will fly through it from the edge of your seat! I’ve been looking forward to this one for ages. I haven’t read a good thriller in awhile, so I will be eagerly awaiting this one’s release. I was really looking forward to this one already, so your review made me even more happy to try it! I’ve bee wanting to read more books in genres I neglect often -like mystery- so I’ll definitely be picking this one up. I will keep in mind that some things may be unrealistic though -which is helpful, otherwise it maybe would’ve annoyed me. Proud of myself 😀 Mystery is one of my favourite genres so I would love to read more of it this year. That book sounds really good. Can’t wait to read that one! Yay! Paula Stokes is really lovely, and I would definitely recommend giving this one a go if you want to try her work.